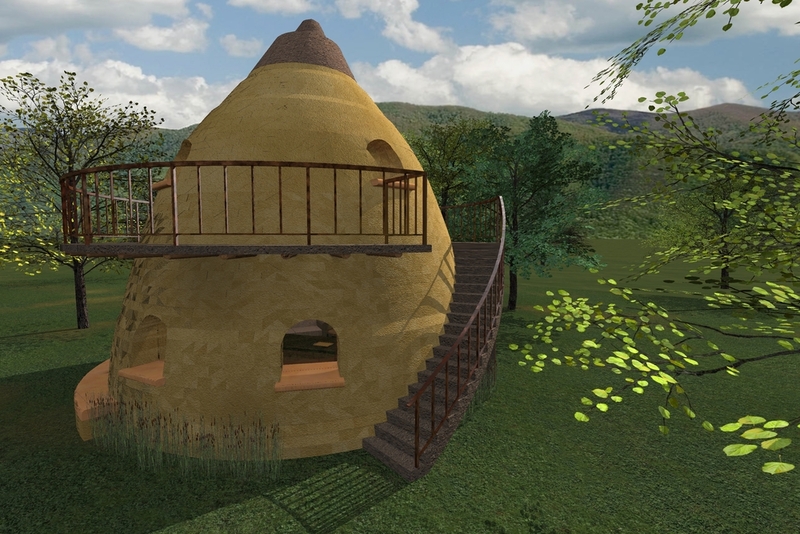 Description: Los Técnicos’ earth bag buildings offer a quick, affordable and environmentally sustainable way of building, and result in spaces that are both comfortable and economical. 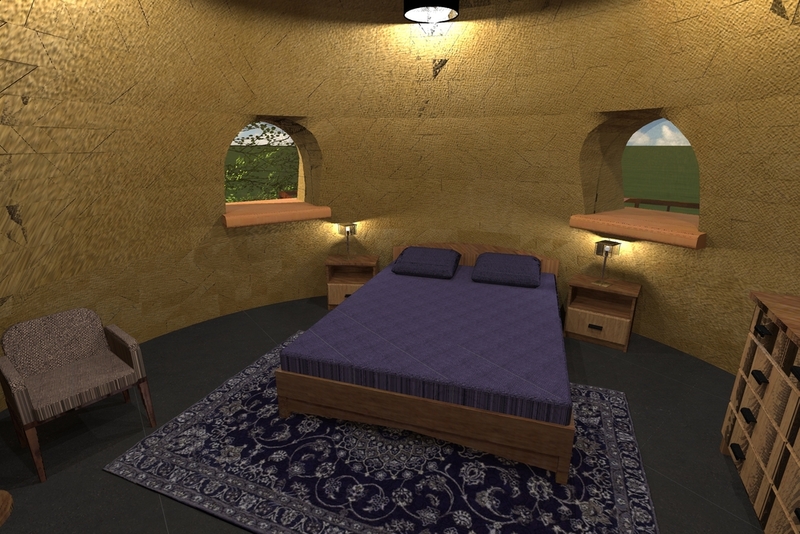 The Earth Bag Dome is constructed with courses of tube-like bags packed with rammed earth, and laid in a circular pattern. 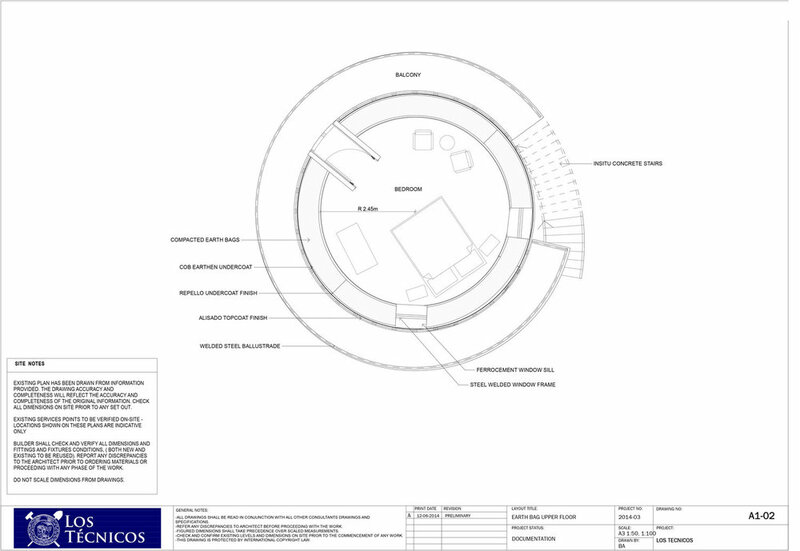 Each subsequent earth bag course reduces slightly in radius, forming a domed “beehive” shape. Natural renders of cob and lime-based plaster are applied to the earth bags for final finishes. 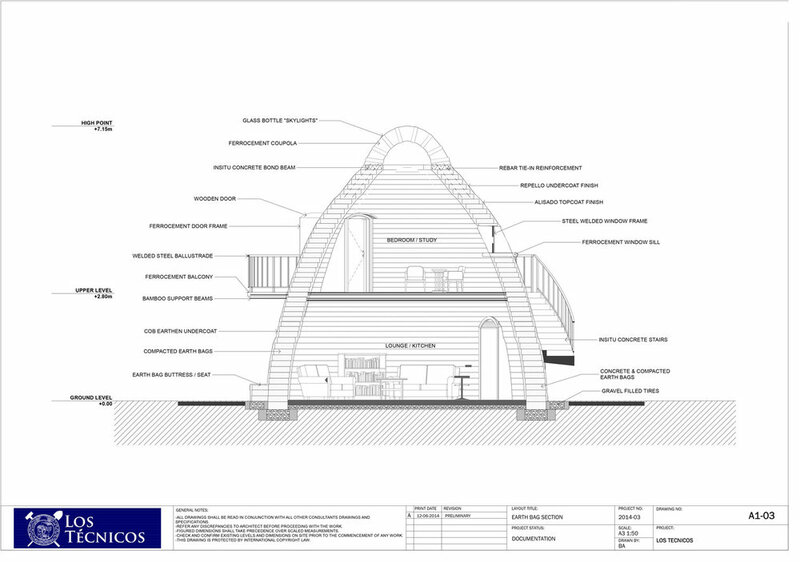 There are very few structural elements required for the earth bag buildings due to their shape which evenly distributes loads, and the integrity of the earth itself. Earth bag buildings have high thermal mass, maintaining a constant internal temperature whatever the external weather conditions may be. This minimizes the need for additional expensive thermal regulators, such as heating. The building can be connected to water and electrical supplies to run services as required, or alternatively can easily be powered by photovoltaic cells and use on-site water tanks or catchments - better for the environment and reduces running costs. Additionally, earth as a building material has a very low embodied energy and reduces construction waste, which saves money and the environment. 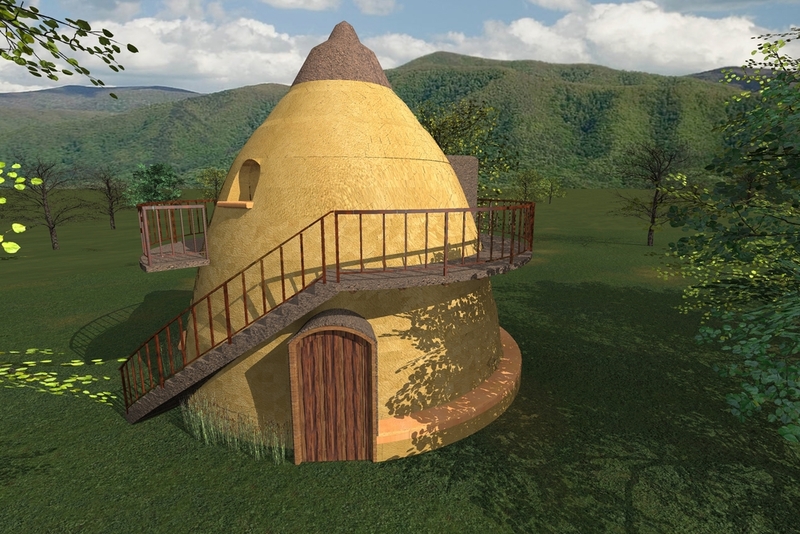 These buildings, being constructed from natural materials, are also fireproof and highly earthquakes resistant; ideal for disaster relief or disaster prevention.